New for 2012, the Active and Safe Routes to School (ASRTS) program has developed an award to be presented annually to an individual, a school and another eligible candidate who show outstanding achievement, leadership and vision in implementing ASRTS projects in Manitoba. 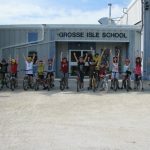 These projects aimed towards promoting active travel for children and youth include, but are not limited to walking and cycling promotion programs, excellence in School Travel Planning, infrastructure improvements, creative use of limited resources and unique community partnerships. Green Action Centre opens a call for applications beginning in June as part of Clean Air Day Walk to School and are awarded in the fall as part of International Walk to School Month. Janice Lukes has shown outstanding commitment to the work of Active and Safe Routes to School, and we have chosen to recognize her in the individual category of the Active Travel School Champion Awards. As a parent of three boys who attend Ecole St. Avila, Janice has played a key role as chair in their School Travel Plan (STP). This included the responsibility of assembling parents onto the STP committee and assisting the school principal and STP facilitator, Graham Bruce, to continue to achieve action plan items. In addition, her passion for STP extended beyond the school by engaging the rest of the community in events like the tulip festival and now with a new project called Bike Walk Roll Fort Richmond. She is also executive director for the Winnipeg Trails Association, chair of the Province of Manitoba’s Active Transportation Advisory Group, and a member of the City of Winnipeg’s Active Transportation Advisory Committee. Rosser School is new to the Active & Safe Routes to School scene, but they have shown great initiative towards active travel, addressing barriers in their community and making it fun at the same time! We are awarding Rosser School in the School category of the Active Travel School Champion Awards for their efforts to increase active travel in their community. 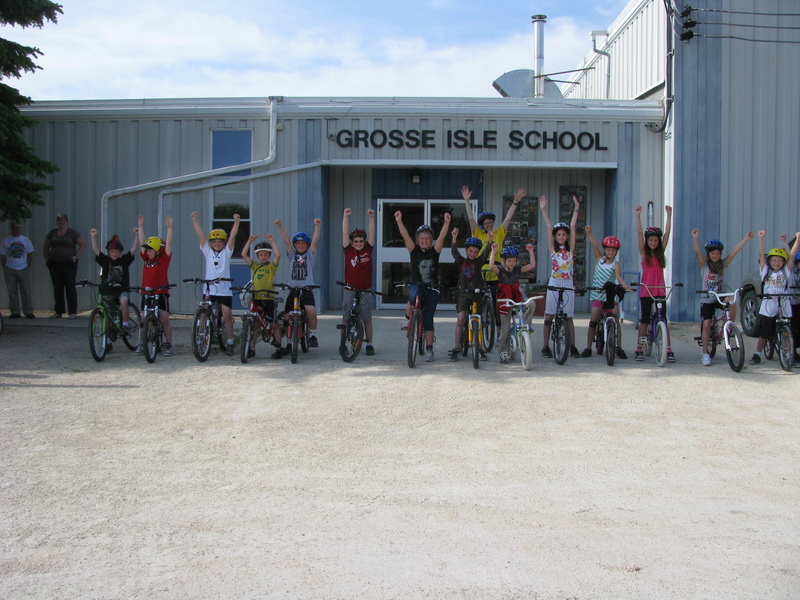 For Clean Air Day 2012, the school organized an amazing 8km bike ride from their sister school in Grosse Isle back to Rosser. Being a small rural school, bussing is largely a reality, but they have organized ways for their students to stay active through rides like this and having them run their school track when arriving in the morning. Congratulations to Rosser School for creating a positive environment for active travel in the community. We chose Thompson, Manitoba as a recipient for the Special Award category for their outstanding work with School Travel Planning (STP) in all 6 of their schools. All of Thompson’s schools have completed and implemented a School Travel Plan, and the community as a whole has shown major initiative towards active travel by continuing related work involving the Health Authority, City Council and the Mystery Lake School Division. They are a northern community but also a community that had been planned with the intention that every student should be able to walk to school. They have created innovative solutions to encourage active travel year-round by purchasing parkas for their patrols in winter to stay warm but visible, as well as better signage and lighting for pathways so residents know where they are. Thompson is an excellent example of a model community for active transportation in Manitoba! We chose Hanover School Division in the Special Award category, to recognize their incredible efforts in expanding School Travel Planning to include 6 additional schools in three different communities — for a total of 7 schools in their division. 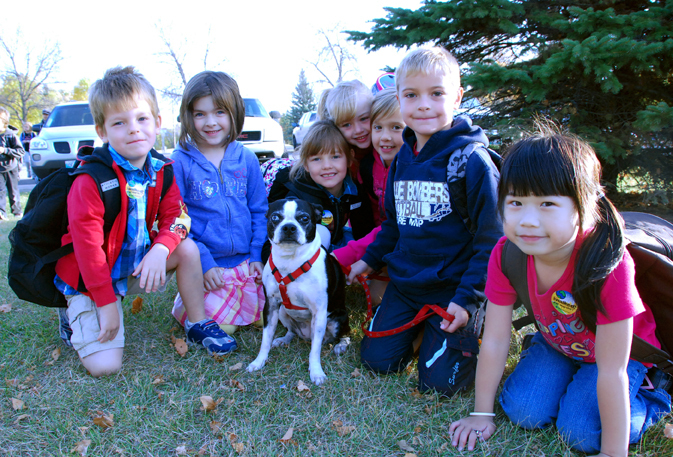 Initially, Hanover School Division implemented School Travel Planning in Steinbach’s Woodlawn School as part of our pilot, Children’s Mobility, Health and Happiness: A Canadian School Travel Planning Model, beginning in 2010. Not only have they embraced the culture of walking and biking, but Woodlawn School ranked in the top 5 schools across Canada that increased walking on the way to school. We want to highlight and celebrate the successes Hanover School Division has achieved in leading the way to active and safe school travel for their students. Nominate an individual, school, or other champions/project by filling out the form. Deadline for the next set of nominations is Friday, June 14th, 2013.